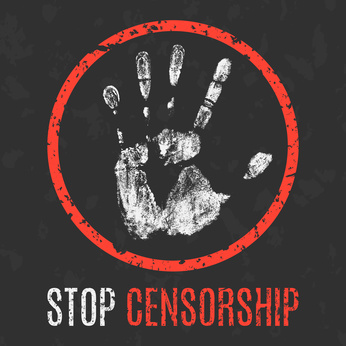 The government of Azerbaijan is carrying out a multi-pronged attack on freedom of expression, including introducing harsh penalties for critical speech online, imprisoning young activists for nothing more than graffiti, blocking access to websites of independent media, and harassing and violating the rights of journalists and activists. The undersigned organisations call upon the Azerbaijani authorities to reverse this alarming trend and respect basic human rights and freedoms, as well as for international partners to ensure Azerbaijan honours its treaty commitments as a state party to the European Convention on Human Rights and the International Covenant on Civil and Political Rights. Earlier this year, two young activists from the N!DA youth movement, Bayram Mammadov and Qiyas Ibrahimov, were arrested after spraypainting graffiti on a monument to Heydar Aliyev in Baku. They were arrested on spurious drug charges and allegedly tortured repeatedly in police custody. Ibrahimov was recently sentenced to ten years imprisonment in what the head of the country’s press freedom watchdog Institute for Reporters’ Freedom and Safety Emin Huseynov rightfully called, “a prime example of travesty of justice in Azerbaijan.”. Mammadov, whose trial is underway, will most likely face the same fate as last Friday the prosecution requested a 10 years and 6 months imprisonment for him. In Sumqayit, the journalist Ikram Rahimov and a private citizen Rahman Novruzov were sentenced to a year in prison for libel after reporting on bribery and tax evasion by local authorities. In striking similarity to the N!DA case, Rahimov alleges he was tortured for three days by local police after refusing to apologise to the local authorities whose criminal activity he had uncovered. Meanwhile in Jalilabad region, the journalist Afgan Sadigov is set to begin trial for “infliction of a minor harm to heath” after an altercation with a local woman with a history of getting into physical confrontations with citizens who anger regional authorities through dissent or critical reporting. Sadigov faces up to five years in prison. Independent journalists who stay out of jail are also having a hard time reaching their audience, as the websites of the local affiliates of RFE/RL and Voice of America have reportedly been blocked. Finally, on 30 November parliament passed laws criminalising “online defamation or derogation of honor and dignity” of President Ilham Aliyev. Violators face fines up to 1000 AZN (€537) or two years in prison, or 1500 AZN (€805) or a year in prison if they do so using “fake profiles or nicknames.” As online defamation is already criminalised in Azerbaijan, this amounts primarily to another warning that dissent, in any form, will be harshly punished. ‘The new law is a blatant attempt to clamp down on the only remaining space for Azerbaijani people to freely express themselves in a country where traditional media have been silenced via legal means and harassment’, said Gulnara Akhundova, Head of Department at International Media Support. The undersigned organisations call on the Azerbaijani authorities to cease the politically-motivated prosecution and torture of journalists, to repeal the new laws further criminalising dissent and free speech, to vacate the conviction of Qiyas Ibrahimov and cease the persecution of Bayram Mammadov, and finally the public unfettered access to independent sources of news and opinion. Furthermore, we call on Azerbaijan’s international partners to use their leverage, both bilaterally and through multilateral institutions, to hold Azerbaijan accountable to its international commitments, and the board of the Extractive Industries Transparency Initiative to take the aforementioned violations of basic human rights into consideration when deciding on Azerbaijan’s continued membership. Join our campaign for the release of imprisoned youth activist Ilkin Rustamzada in Azerbaijan!